to our team here at Body Nurture. She will be available for Tuesday daytime and evening appointments from Tuesday 30th April 2019. Kath Reade – what is a Gong Sound Bath? It’s a great start to the day – a fun and energising practise. We start with the practise of Mouna (silence) – perfect for those who like to start their day quietly! This year it will run for five weeks – every Wednesday morning in July. 6.00 am – 7.00 am. 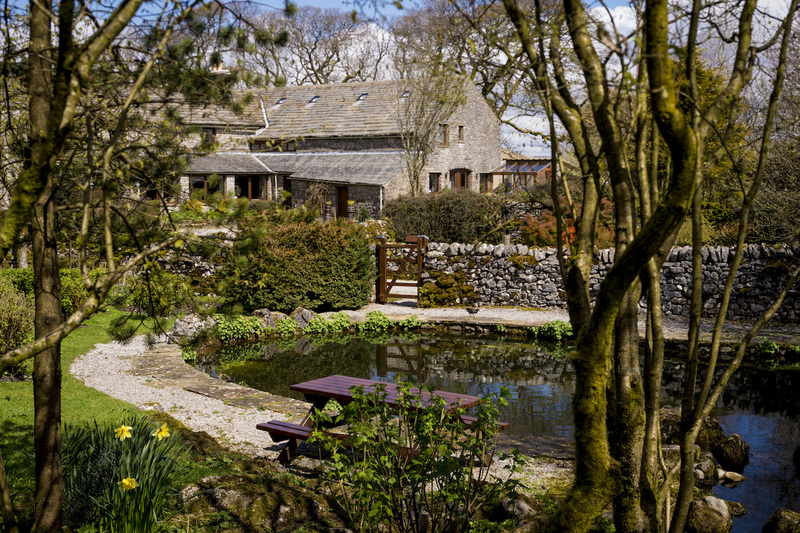 Set in the heartland of the Yorkshire Dales National Park High Trenhouse will be our tranquil home for a weekend of relaxation, walks, yoga, Pilates and amazing food and hospitality. We will have our own dining room, conservatory and bar with a wood burning stove. A detailed programme of activities will be available nearer to the event. All yoga and Pilates equipment will be provided – but please bring with you an extra blanket and pillow or cushion for your comfort during meditation sessions. Swimsuits for the sauna are optional. Please bring everything your need to keep you dry and warm on the moors if you would like to come on our walks. A drying area is available for walking wear if we get wet! WiFi is available at High Trenhouse – but to totally appreciate your amazing facilities and surrounding countryside we recommend that use of mobile phones is kept to a minimum. Please don’t bring your phones/tablets into communal areas during our stay. The retreat cost includes the retreat fee, accommodation and all meals during your stay. Accommodation will be single occupancy ensuite rooms unless otherwise stated/requested. Participants must be over 18 years of age. The retreat is non smoking. 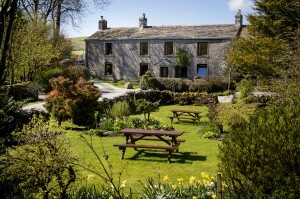 You will need to arrange your own travel to High Trenhouse. General Maps and Directions can be seen at Google Maps. For detailed directions use the AA’s route planner with ‘High Trenhouse’ as your destination. However you should use High Trenhouse’s directions for the last stage of the journey as SatNav is not reliable on Malham Moor (and mobile phones may not work). A non-refundable deposit of £100 is required with booking. The remaining balance is due 4 weeks prior to the start of the retreat. If the retreat is booked less than 4 weeks in advance the deposit facility will not be available and the full amount will need to be paid when booking. If you have made full payment, cancellations made 4 weeks or more before the retreat start date will receive a refund of the remaining balance of the retreat fee but none of the deposit will be returned. If you cancel less than four weeks before the start of the retreat, a 50% refund of the remaining balance will be given, but none of the deposit will be returned. If you cancel within two weeks of the start of the retreat, no refund will be given. Please consider taking out your own insurance in case you have to cancel through illness or other unforeseen circumstances. The unexpected can always happen even when planning a UK trip and if you need to cancel your weekend could lose your deposit or even the full cost of the retreat. We therefore strongly advise participants to arrange Personal Accident and Travel/Cancellation Insurance. If you already have an annual insurance policy it might be worth checking to see if you are already covered. Many companies will cover for travel within the UK as long as 2 consecutive nights are booked. We reserve the right to ask participants to leave the retreat if their behaviour is disruptive to the running of the retreat or to the other participants and staff. No refund would be offered. I’m delighted to be joining Kath for my third trip to Mas Sant Nicolau in June 2019. Kath has invited me to teach some morning yoga sessions – it would be so lovely if some Body Nurture yogis could join us………. and it would be lovely to welcome new friends too! Can’t make Saturday but don’t want to miss out? Contact Christina on 07737 313483 to request a catalogue or book your own ‘at home’ party! A gong sound bath is a one hour immersion in healing sound where the gong master plays the gongs expertly to activate their full sonic potential, bathing the listener in waves of golden primordial sound. During a gong bath, listeners typically experience a sense of connectedness and peace as the gong clears blockages and restores the free flow of vital life energy. We are delighted to announce our next Aerial Yoga taster session at Body Nurture. Limited to just 5 places. Cost £10 payable in advance. Now in stock at Body Nurture.